Disclosure: I received this book for review purposes only. Interview shared with permission. Any opinions are my own. 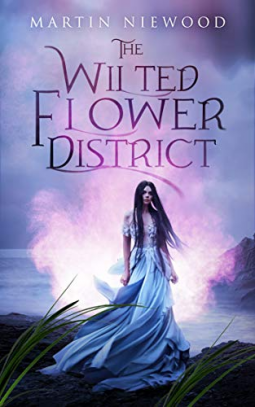 "Although The Wilted Flower District at times has a lighter feel, it also delves into deeper topics than most YA works. Mortality, deceit, being responsible for your own happiness - all wrapped in a unique setting with inspiring characters - takes readers places they may have never gone before, all while enjoying a great story along the way." Read on for a Q&A with Martin Niewood and enter below to win a copy of The Wilted Flower District. Connect with him on twitter and instagram and at www.martinniewood.com. Find The Wilted Flower District on amazon and in select brick-and-mortar retailers. Enter to win a copy of The Wilted Flower District by entering the rafflecopter form below. Ends February 28, 2019. Good luck. US only please.